Maybe I should create some new subcategorys in my photography category. I am not sure. I have no food category but I posted already a lot of food photos on my blog. On the photo above you can see what my mother did cook some time ago. Mincemeat with rice and red cabbage. 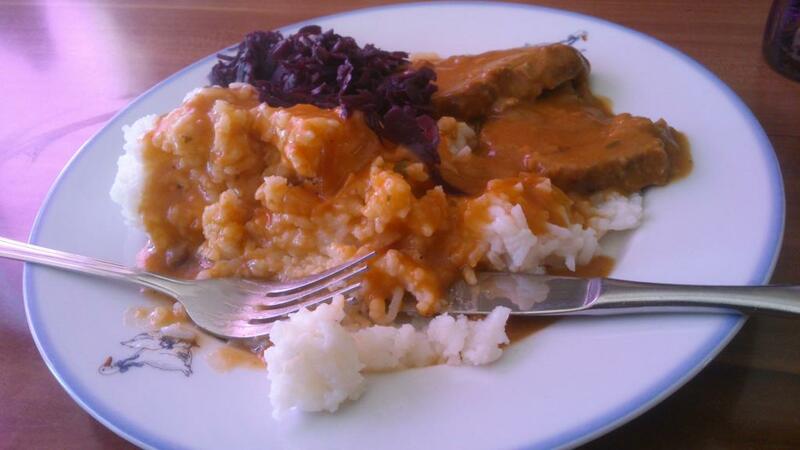 It was very tasty and luckily my mother cooks it often.